Artistic Flowers and Gifts is a full service floral gift shop that will provide you with the highest level of customer service, quality and value. Artistic Flowers designers are experts in the art of expression with flowers for any occation: weddings, sympathy, anniversary, birthdays, etc... We also offer many other gift options including green plants, balloons bouquets, specialty vases, stuffed animals, gourmet/fruit baskets and other unique gifts. 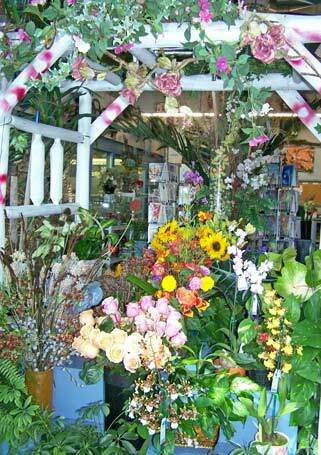 Make Artistic Flowers and Gifts "Your Floral Destination"! Owned and operated by award winning florist, Franklin Mera, CPF. Franklin has more than 25 years experience in floral design and is especially well known for his high-style designs, European flair and exotic arrangements. 2012 Awards: Floral Association of the Rockies (FAR) Iron Fist Competition Winner, Reader's Choice Best Florist of Metro North, Featured Florist Colorado Garden and Home Show. 2011 Awards: BloomNet Quality Achievement, Reader's Choice Best Florist of Metro North, FAR Sympathy FLoral Designer of the Year, Featured Florist Colorado Garden and Home Show. Franklin has won awards every year since he opened Artistic Flowers and Gifts including Metro North Chamber of Commerce Small Business Person of the Year in 2008. *Our shop is open from 9:00 a.m. to 5:00 p.m., Monday through Friday and from 10:00 a.m. to 2:00 p.m. on Saturday. We are closed on Sundays except for Mother's Day and Valentine's Day when it falls on a Sunday. To help assure on-time delivery during the busy holiday season, place your order at least 4 days prior to the following major holidays: Thanksgiving Day, Christmas Day, New Year's Day, Valentine's Day, Easter, Administrative Professionals Week, Mother's Day, Memorial Day, Father's Day, Independence Day and Labor Day. Our shop serves the following areas: Arvada, Brighton, Broomfield, Commerce City, Denver, Federal Heights, Northglenn, Thornton and Westminster. We also deliver to all local hospitals and funeral homes in the metro Denver area. In addition, we can facilitate out-of-town, out-of-state and out-of-country orders. Weddings: Your wedding will be one of the most important days of your life and flowers play a vital role in creating a memory that will last forever. Artistic Flowers will help brighten and inspire the event. Sympathy: We offer a collection of arrangements, garden baskets and plants that allow you to pay your respects and offer comfort. Arrangements: Explore our many product lines that are perfect for any occasion: get well, house-warming, birthdays, congratulations, and of course the everyday "I love you"! Balloon bouquets, stuffed animals, plants and gift baskets (gourmet, fruit, candy, etc..) are all options to complement any order or also as stand alone product orders. Call our shop for custom ordering options. If you have any questions or need more information, please contact us by email at artistic_flowers_gifts@comcast.netor call us directly at (303)450-5290. We're always here to serve you and make your flower purchasing experience a pleasure. A charge of $19.98 will be added to your order for a delivery that is outside of our local delivery zones. We reserve the right to utilize our vast network of florists to assist in fulfilling orders out of our local delivery zone. We require at least 3 days notice to facilitate out of town deliveries during busy holidays and may have to refuse to fulfill the order if a florist or product is not available. U.S. orders must be received before 2:00 p.m. in the recipient's time zone to assure same-day delivery. Orders received after that time will be delivered the following day. We cannot guaranteed delivery times for orders wired to other shops during busy holidays. We will do our best to accommodate deliveries at specific times of day, but we cannot guarantee it. During busy floral holidays (Valentines Day, Mothers Day, Thanksgiving, Christmas) delivery times will not be guaranteed, but we'll attempt to delivery during business hours.